When operating at full capacity, Reality is expected to reduce the CO2 impact of production while reducing the amount of virgin aluminium required to produce vehicles. Jaguar Land Rover has already reduced its global vehicle manufacturing operating CO2 by 46% per vehicle and remains committed to an ongoing decarbonisation process. The project, co-funded by Innovate UK, is helping Jaguar Land Rover extend its closed loop aluminium economy. Between September 2013 and January 2019, around 300,000 tonnes of closed-loop scrap have been processed back into the brand’s lightweight aluminium intensive architecture, across all vehicle lines including XE. In 2014, Jaguar XE was the first vehicle in the world to use aluminium alloy grade RC5754 for its body panels, which contains up to 75% recycled aluminium. Half of the XE body structure is made of aluminium alloy grades that contain an important amount of recycled aluminium content - made possible by a closed-loop manufacturing system at its UK and Slovakia facilities. 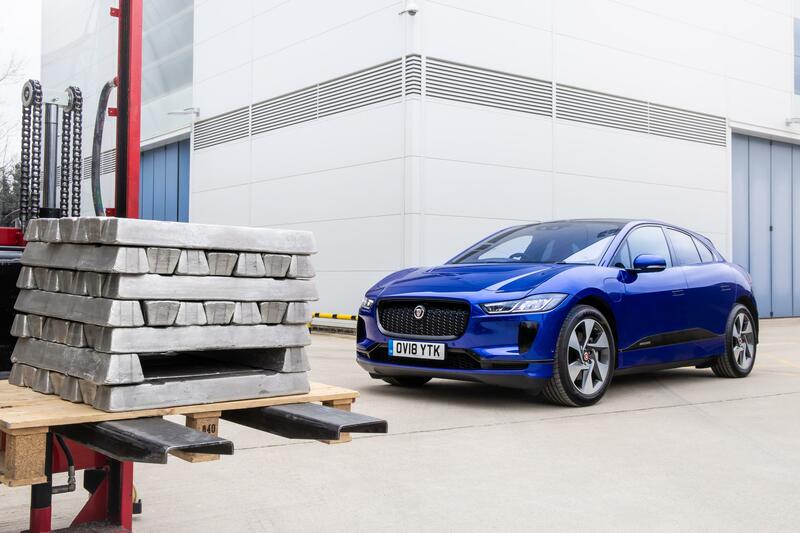 There will be an increased opportunity for recycling through this project, as Jaguar Land Rover will be able to plan for the retirement of large shared fleets. This will enable the company to engineer closed loop recycling into tight production schedules, as the vehicles can be recovered, de-polluted and shredded en masse – making a viable business case for using the company’s recycled aluminium within its own facilities. Jaguar Land Rover currently uses 180,000 tonnes of aluminium per year - a small percentage of the 80 million tonnes produced globally each year. It is already one of the most widely recycled materials with 75% of all aluminium ever produced still in circulation. For a different slant on aluminium recycling, Miguel Campos at Advanta shares his thoughts on the food industry here.